This is a modular program for Touching Essence offering 200 Hours certification. It consists of 5 weekend classes and 2 intensive 5-day modules. Completing training with Myamo will include additional 150-Hours of online training followed by 100-Hours of guided and documented practice through self-learning before final evaluations. Upon completion you will become a certified, registered and licensed "Psycho-Physical Wellness Practitioner" as defined in the UNI-11713 national standard. Touching Essence™ is a multi-sensory, multicultural, Neo-shamanic healing art practice that combines the sense of touch, smell, sound and energetic vision. Developed over the last 30 years at Esalen and in Bali, Touching Essence engages both giver and receiver to deepen awareness and presence. Inspired and informed by Ellen’s practice and teaching of Esalen® Massage & Bodywork, Touching Essence uses visualization and affirmation in support of desired outcomes. The philosophy of Touching Essence is combined with an exploration of the energetic centers of the chakras (wheels of energy). These highly charged centers act as a conduit through which body, mind, and spirit interact as one holistic system. Imbalances in the chakras correlate with physical tension and discomfort. The intention of this course is to weave together a variety of techniques in order to address holding patterns in the body that result from these imbalances. The focus is to access these powerful energy centers through a combination of touch, scent, and sound. Working with sound/vibrations, essential oils, and massage techniques; we will impact both subtle and deep layers of the body helping the individual to achieve a sense of integrated well-being. • Those who wish to pursue a path of growth and change and obtain a professional title. • Those who intend to work in private practice or in public and private structures, regulated by the Law No. 4/2013. • Operators in holistic techniques not registered in professional category registers pursuant to Law No. 4/2013. (teachers, health care staff, educators, therapists, volunteers, etc.). • Conduct an individual treatment session with integrated holistic Touching Essence techniques. • Acquire holistic, corporeal, energetic and creative holistic techniques to support the client in the improvement of his/her psycho-physical well being. • Listen deeply to the person and choose methods and techniques for psycho-physical treatment. • Integrated communications - relational knowledge and skills with holistic and bio-natural methods. • Operate in harmony with the Code of Ethics and Professional De-ontological Standards. Course Requirements: 15 hours of pre-program study. Paticipants will be provided with sufficient reading for 10 hours focused on anatomy & the 7 chakras and aura and 5 hours on essential oils. This will contribute 10 hours credit towards certification. Om Work: Participant must give 10 Touching Essence sessions, all of which must be documented in writing, with 3 receivers writing feedback/testimonials. This will contribute 10 hours credit towards certification. 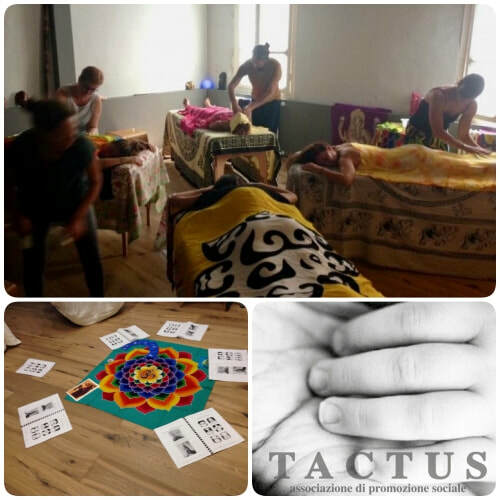 All weekend classes and the first 5-day Module will take place at Tactus Studio, Turin. Tactus Studio was founded by Elena Gili in 2008 as the home for her practices. Turin, renowned for it's architecture, food and grand piazzas is a fantastic place to take such a training. For all practitioners across Europe, it will be a joy to visit and soak up this experience whilst getting certified in Touching Essence. The second 5-Day Module will take place at Centro D'Ompio. Centro is an "international yoga and meditation retreat center". Simply, it is setup perfectly for running such kinds of programs. 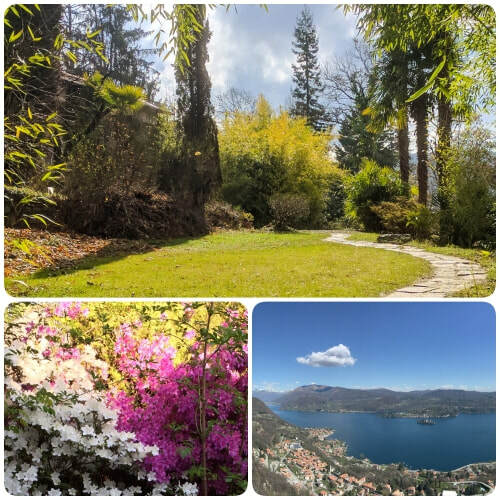 A large part of all of the work we do, is to take yourself away from daily life, distractions, to a peaceful, secluded, location allowing you to practice your presence in a nourishing environment. Note that we will be running each of these shorter and intensive classes frequently. We also run Touching Essence and Esalen trainings globally and are able to accredit the relevant hours from other attended trainings where appropriate. If you are unable to attend any of these classes, we assure you they will come around soon enough and we can discuss with you a schedule to complete your certification. Whilst the class modules are sequential, options can be discussed for crediting weekend classes. To complete certification all classes must be attend or equivalent hours of relevant training with us accounted for. for International Students unable to travel frequently enough for weekend classes, please contact us to discuss options for attending the Intensive training programs. Tuition for the full program comes to a total of 2,400 euros or USD $2,995. To register complete the registration form and then complete payment of deposit or full amount and we will soon be in touch with you with further details. If you have any questions at all please feel free to contact us at any time.